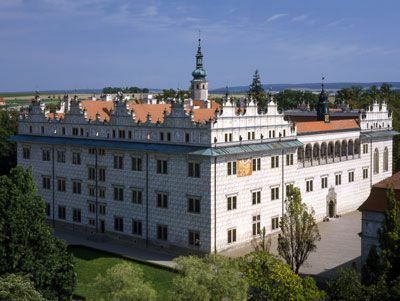 Litomyšl Castle, photo: CzechTourism In the very east of Bohemia, where the region borders with Moravia, you'll find a picturesque town called Litomysl. It emerged in the 13th century from an older fortified settlement on an important trade route which linked Bohemia and Moravia. Litomysl is rather a small town, however with a large elongated square, with a town hall of a Gothic origin as well as a series of Renaissance and Baroque houses, many with arcades and vaulted ground floor rooms. Litomyšl Castle, photo: Zdeňka Kuchyňová If you love old architecture you can spend hours wandering in the little streets of Litomysl. But the main thing that strikes you as you enter the town is the castle. The Renaissance building with white walls covered by graffiti dominates the whole place. The whole complex is included in the UNESCO list of cultural monuments. I met the castellan Josef Holub and asked him to guide me through the castle rooms and tell me a bit more about the history of the castle. "The castle was built in the years 1568 - 1582. The first owner of the castle was Vratislav from Pernstejn, the second owner was the Trautmansdorf Family, the third was the Vallenstein Family and the last owner was a family called Thun-Taxis. They are still living in Germany. From 1945 the castle belongs to state." One of the first rooms we entered was the dining room. 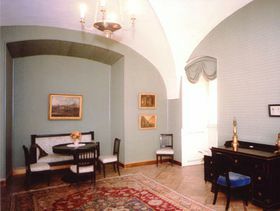 It is one of the few rooms in the castle, which is still used for official ceremonies today. 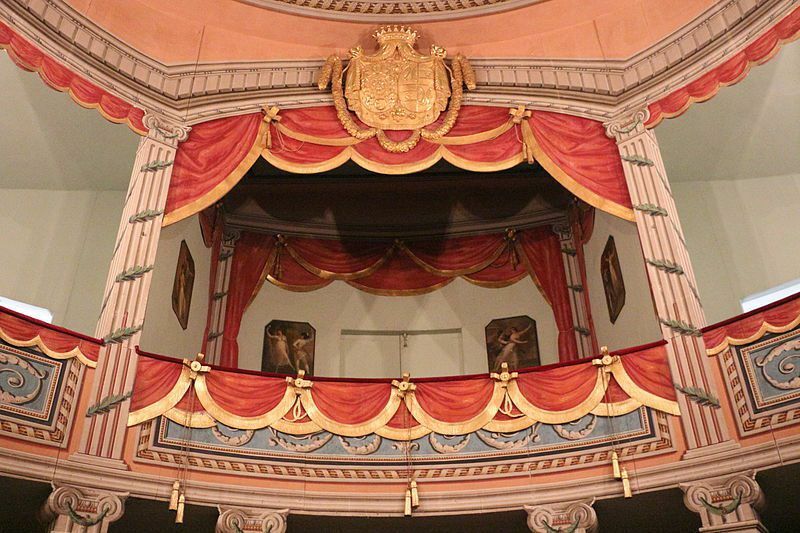 The castle theater, photo: Agnete, CC BY-SA 4.0 International "The dining room is in the west wing of the castle. This part was built as the first one. They began to build it in 1568. The dining room is very interesting as it is a representative hall. In 1994, our president Vaclav Havel decided to organize a meeting of seven presidents. Two years later there was - as a guest of the Czech Republic - the Spanish King Juan Carlos with his wife." Another beautiful hall in the castle is the castle theater. It boasts original wooden decorations from the 18th century. "It is from the year 1796. Before that, there was a room for salt here. All the construction is made of wood and therefore there is such a good acoustics here. We still have the texts of the original plays that were featured here. What's interesting is that no professional actors were playing here. Every guest received the roll, he performed, and when he finished he went to sit down. Then they ate and drank here and amused themselves. It was better than a television." The native house of Bedřich Smetana, photo: CzechTourism Litomysl and the castle itself are also associated with the famous music composer Bedrich Smetana. The author of the symphonic poem "My Country" or the opera "The Bartered Bride was a son of a master brewer at the castle brewery. 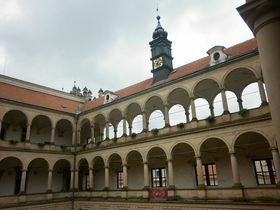 "The father of Bedrich Smetana rented a brewery in front of the castle. 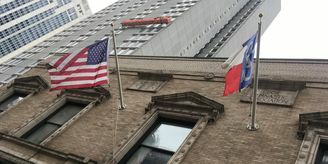 Bedrich Smetana was born here in 1824. They left Litomysl when he was nearly seven years old. But when he was six years old he played on the piano at the theater here for citizens and for the Duke of the Litomysl Castle. At the castle you can also visit the apartment where Bedrich Smetana was born and lived as a child. The Statue of Bedřich Smetana "Smetana was born on Tuesday. The night before his mother was dancing at the Mardi Gras party at the courtyard in front of the castle and the next morning Bedrich Smetana was born." 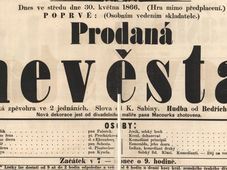 "Here at this place, the six year old Smetana played for students of philosophy from the Piarist School. 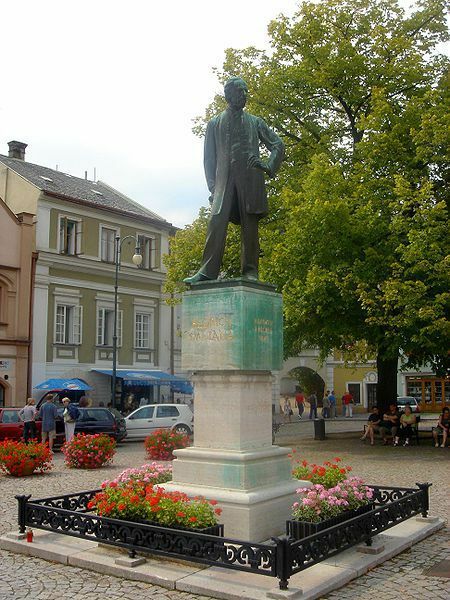 It was a famous philosophical school in the territory of east Bohemia." Litomysl still celebrates the fact that Bedrich Smetana was born there. 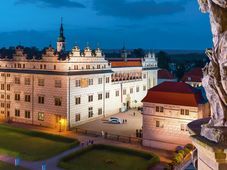 Every year in June an international opera festival known as "Smetana's Litomysl is held in the beautiful environment of the castle. Litomysl locals are proud of their famous countryman and his heritage, and many of them are keen musicians themselves, says one of the inhabitants Zuzana Fryaufova. "I think that music is a very important part of life in Litomysl and every child in Litomysl attends a music school." Did you play something yourself? What did you play? "I played piano, guitar and flute." But Bedrich Smetana is not the only famous person who lived in Litomysl. The famous writer Alois Jirasek wrote some of his works here, Magdalena Dobromila Retigova - an author of the first Czech cook book also lived in Litomysl. 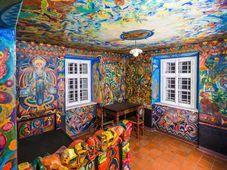 "Many important personalities of Czech history and culture lived here. For example Magdalena Dobromila Retigova who wrote the first cook book in Czech lands. There is an Association of Woman and Girls who feel inspired by her life. At their meetings they cook sing and bake." As you can hear, music is really present everywhere in the town and not only during the opera festival. 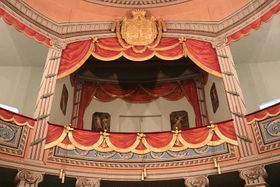 The exquisite interiors of the castle, especially the Baroque castle theatre, the amphitheatre in the castle park and Smetana's house, all offer varied programmes of concerts and theatrical performances all the year round. 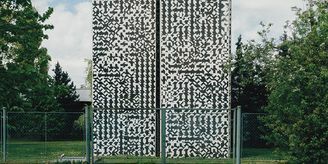 If you plan to visit Litomysl a lot of information can be found at their website at www.litomysl.cz.